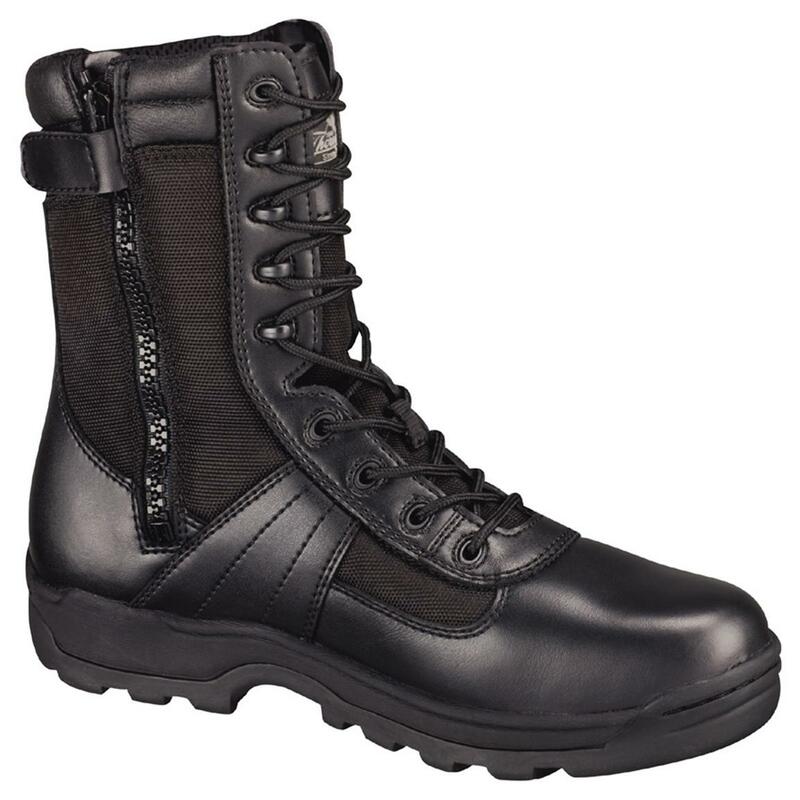 Thorogood® 8" Waterproof Side - Zip Composite Safety Toe Combat Boots A Thorogood® top - selling combat boot! Each combat boot approx. 24 ozs. State Width and Size, as available in the Shopping Cart. Men's Thorogood 8 Waterproof Side - Zip Composite Safety Toe Boots, Black is rated 3.6 out of 5 by 10. Rated 4 out of 5 by JEFF123 from Example: Great Price! the boots are heavily padded in the ankle area, Cant seem to tighten them as much as I'd like to, Maybe this will change with ware , Other than that they are fine. Rated 5 out of 5 by Tony59 from Awesome Boots I have been buying the Reebok ERT boots for the last few years which by the way are exceptional Boots for comfort and wear. The Thorogood Boots I purchased have all of the options I require. They fit very good are very comfortable and appear to standup to the demands of my job. Rated 5 out of 5 by Kwhopper from Great Price, Comfortable Shoes! Rated 1 out of 5 by theleftarm from horrible boots worst pair of boots I have ever worn. Were uncomfortable from day one and after less than one year of wearing them 2-3 days per week the boot is falling apart. the inner liner is ripped and now the very cheap plastic zipper has broken. I have only bought 511 footwear before and it has lasted for 2-3 years and more. Never again would I buy anything from Thorogood. Rated 5 out of 5 by ac1412 from great all around great price,feels great on feet and much much lighter then my other boots. The popular upland style with a work boost.